The Best Depression blogs from thousands of top Depression blogs in our index using search and social metrics. Data will be refreshed once a week. Also check out Depression Youtube Channels. Depression newsletter is a comprehensive summary of the day's most important blog posts and news articles from the best Depression websites on the web, and delivered to your email inbox each morning. To subscribe, simply provide us with your email address. Los Angeles, CA About Blog A website dedicated to self improvement with a focus on personal productivity, motivation, and self education. PickTheBrain diverges from traditional “self-help” by taking a broader approach. Rather than sticking to a small set of topics, the site covers anything related to self improvement. Any information that people can use to live more prosperous, satisfying lives is a potential article. Facebook fans 730,091. Twitter followers 32,886. Atlanta About Blog Blogs for moms with postpartum depression, postpartum anxiety, postpartum psychosis, depression during pregnancy and more. Help and hope from thousands of moms who've been there. Facebook fans 37,146. Twitter followers 13,893. 72 Lower Leeson St, Dublin 2. About Blog Aware provides support & information for people who experience depression or bipolar disorder and their concerned loved ones. Facebook fans 48,093. Twitter followers 17,268. About Blog Support for anyone struggling with depression. Facebook fans 1,212,251. Twitter followers 579,631. About Blog Comprehensive up-to-date news coverage on depression, aggregated from sources all over the world by Google News. Facebook fans 21,727,977. Twitter followers 212,698. England, UK About Blog The following blog posts are written by people with personal experience of depression. By talking openly, our bloggers hope to increase understanding around mental health, break stereotypes and take the taboo out of something that – like physical health – affects us all. Facebook fans 363,750. Twitter followers 229,172. London About Blog Latest news and features on depression from theguardian.com, the world's leading liberal voice. Facebook fans 8,008,342. Twitter followers 7,267,950. About Blog Huffington Post Lifestyle talks depression, offering the latest news, blogs, features and trending stories. Facebook fans 1,117,273. Twitter followers 181,343. Facebook fans 1,541,272. Twitter followers 235,443. Los Angeles | London About Blog Headspace is a place where you will find blogs related to depression. Facebook fans 215,650. Twitter followers 98,430. London, UK About Blog Posts about depression written by Russell Dornan and Danny Birchall. Facebook fans 71,283. Twitter followers 56,179. Boulder, CO About Blog Blogs on Depression by Brad Feld. Facebook fans n/a. Twitter followers 305,630. Cambridge, MA About Blog Patients helping patients live better every day. Share your experiences with treatments. Find patients just like you. Learn from others who know. Facebook fans 368,681. Twitter followers 31,258. About Blog Bill White writes at Chipur, a blog with a focus on healing for depression, anxiety, bipolarity, stress, and more. He’s a mental health professional and recovering addict as well, and his mission is to help people take positive steps to manage their mood and anxiety disorders. Facebook fans 4,331. Twitter followers 400. El Cerrito, CA About Blog Providing unbiased depression information on symptoms/diagnosis, treatment and coping since 1995. Facebook fans 48. Twitter followers 126. Buffalo, New York About Blog A nationally award-winning depression website/blog with depression news, resources, blogs, guest articles for anyone who struggles with depression, anxiety, and too much stress. The site has been featured in the New York Times, the Wall Street Journal, and on CNN, to name a few. Facebook fans 3,017. Twitter followers 1,465. Midvale, Utah, United States About Blog Overcoming AD/HD & Depression With Lots Of Humor And Attitude. Douglas Cootey is also the author of a book, “Saying ‘No’ to Suicide,” from which he occasionally posts excerpts, including some about cognitive techniques you can use to resist depression and suicidal urges. Facebook fans 539. Twitter followers 2,067. Facebook fans 202. Twitter followers 109. Ontario, Canada About Blog Daisies and Bruises is a blog about both sides of life, the pleasure and the pain. The Art of Living With Depression, one post at a time! It's the product of a 30-year-old named Erin finding her way after she lost most of her youth to severe depression. She decided that since death was no longer an option, she had to find a way to live. Writing it. washington, dc, usa About Blog Amy Marlow lost her father to suicide and now deals with her own depression and generalized anxiety disorder. Her posts are incredibly personal and thought-provoking, reflecting not only the pain and trauma she has endured, but also her commitment to not hiding her struggles with mental health. Facebook fans n/a. Twitter followers 5,514. Creve Coeur, MO About Blog Mental illness is treatable. Find the latest advancements in mental health medicine, including TMS therapy for depression. TMS therapy (transcranial magnetic stimulation) offers hope for long-term remission to those suffering from depression. Facebook fans 472. Twitter followers 233. Facebook fans 1,168. Twitter followers 569. About Blog Depression army is an international growing movement centered around ending the stigma associated with mental illness and supporting those who have one. Facebook fans 1,165. Twitter followers 54,031. California, USA About Blog Suicide awareness and prevention resources. Personal experiences with suicide, eating disorders, mental illness, and more. Washington DC About Blog A Place of HOPE for Depression is a place for Depression Treatment / Support Therapy Treatment Centers. Facebook fans 4,909. Twitter followers 46. New York About Blog Therapy for how to tackle depression in today's life. Facebook fans 33,035. Twitter followers 26,065. About Blog This started out in 2011, as a blog written by Tamera as a means to journal both her personal struggle & coping mechanisms dealing with depression. She found herself reading her posts during times when her mood was sad & it served as a catharsis. She soon learned that thousands of people around the world began reading her blog & found it both unique and inspiring. She started to envision a website dedicated to dealing with mental illness that would have inspiring words, videos and inspirations. About Blog At Gadget and Gear Guru, we pride ourselves in great quality, and outstanding customer service. About Blog Erasing the stigma behind depression and suicidal thoughts. Facebook fans 445. Twitter followers n/a. About Blog You are not alone! Discover simple strategies and insights to free your mind from depression and anxiety. Connect with people who understand. Calgary About Blog A blog about clinical depression (aka major depression, depressive disorder) from a Canadian perspective. East London About Blog Andrew offers counselling for many conditions both in person and through online therapy as well as his unique Depression Recovery Programme. Facebook fans 1,502. Twitter followers 311. About Blog The intention of this web site is to bring people together...to be open and sharing experiences with depression. Austin, TX About Blog Austin TMS Clinic for Depression is a leading depression center in central Texasproviding NeuroStar Transcranial Magnetic Stimulation TMS Therapy. A clinic serving patients with the latest in depression and anxiety treatments. Facebook fans 339. Twitter followers 957. About - It is difficult, but talking about depression is important. Mental health is just as important as physical health, and we're working hard to get that message out. About - Alexandra Massey author and specialist in beating depression and anxiety. About - Journey of a New Father Suffering with Depression. About - A personal blog about parenting, postnatal depression, anxiety and everything in between. 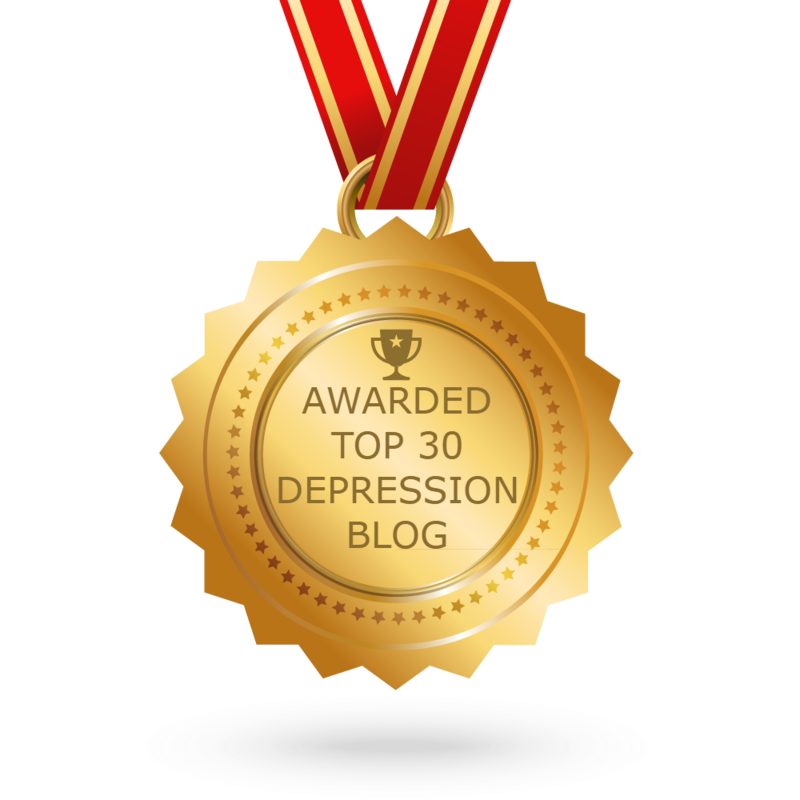 CONGRATULATIONS to every blogger that has made this Top Depression Blogs list! This is the most comprehensive list of best Depression blogs on the internet and I’m honoured to have you as part of this! I personally give you a high-five and want to thank you for your contribution to this world.